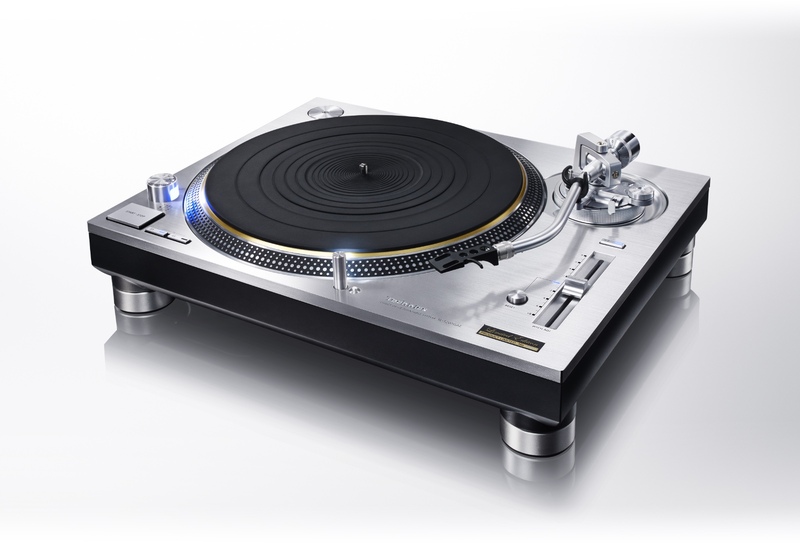 The Technics SL-1200 turntable that defined DJing with record players has been awaiting a successor for some time now. Pioneer’s PLX-1000 is already earning some acclaim among DJs; it looks and feels like an SL-1200, but has great control and stability. Well, now it’s Panasonic’s turn. Having revived the Technics moniker for the hi-fi market, they had already teased the return of the SL-1200. Today via social media, that became official. The new turntable is called the SL-1200G, and it’s a new revision of the 1200 classic – what Technics says is a “new system for Hi-Fi use.” As many predicted, the presumably deeper-pocketed Hi-Fi market is the big target. Now, these days, “direct drive” turntables are known mostly as being for DJs, but as Technics note, their original invention was to produce greater reliability and stability for listeners wanting to splurge on gear. If we redesign the direct-drive motor and control circuitry, we will be able to create a turntable that is superior to other systems. That also tells you what’s new: a new motor, new control circuitry, with an intent to make sound better. From there on out, there’s a bunch of engineering razzle-dazzle that may or may not mean something to you. Being skeptical, I just want to let a DJ get their hands on the decks. Just because this is being made for the Hi-Fi market, will it be somehow less appealing to DJs – either because DJs weren’t taken into design consideration, or because it’s prohibitively expensive? That remains to be seen, although while Panasonic aren’t saying this is for DJs, they’re not saying it isn’t for DJs, either. Of course, I don’t doubt for a second that listeners are a big market, too. And engineering aside, there’s some sense to Technics going after hi-fi fans, as Pioneer courts DJs. There are two vinyl resurgences on at the same time. They say it isn’t a “replica of the SL-1200” – but then, we learned neither was Pioneer’s outing, and many people are happy for that. People may not simply want a remake, so much as they want at least what the original gave them. First up is what’s called the SL-1200GAE – 50th Anniversary Limited Edition, coming summer 2016. This seems to imply there will also be a non-anniversary 1200G, of course, but no specifics on that or pricing. And if you don’t like all the clicking, here are the full descriptions and specs below. The most interesting bit, I’ve put first: Panasonic have a new motor that is designed to “eliminate” cogging (a vibration during rotation), and use new circuitry for controlling the motor they say borrows from Blu-Ray players. That makes sense: digital applications do require higher precision than analog turntables of the past, and a company like Panasonic is uniquely equipped with the scale and expertise of such solutions. Conventional analogue turntables have problems with degradation in sound quality caused by factors such as minute speed vibration during rotation and rotation irregularity called “cogging.” In the SL-1200GAE, the use of a newly developed coreless direct-drive motor with no iron core eliminates cogging. Also, the twin-rotor construction reduces the bearing load while maintaining high torque, and also reduces minute vibration during rotation. These factors enable reproduction of the warm, exquisitely detailed sound etched on analogue records. The application of motor control technology developed for Blu-ray devices, and switching the drive mode depending on the operational status of the motor achieve a high starting torque and high speed stability. The use of brass-milled and gold-plated phono terminals and ground terminals prevents degradation in sound quality while enabling the easy attaching and detaching of cables. Also theuse of metal shielding construction inside the case reduces the effects of external noise. When the weight distribution of the turntable is uneven, excess vibration or noise occurs during rotation, which causes degradation in sound quality. Therefore, the balance of the turntable is adjusted at the factory by using specialised high-precision balance adjustment equipment for each and every item after the turntable is assembled. Turntables that have undergone adjustment are labelled with a sticker reading “BALANCED” to indicate that adjustment has been done. The turntable has a three-layered construction with a rigidly combined brass and aluminium diecast platter. With a deadening rubber covering its entire rear surface to eliminate unnecessary resonance, thereby achieving high rigidity and vibration damping. This delivers smooth rotational stability and inertial mass surpassing the SP-10MK2, the direct-drive turntable standard used by broadcast stations worldwide, as well as having more than twice the inertial mass of the SL-1200MK5. A hairline-processed, 10-mm-thick top panel of immaculate aluminium has been added to the previous three-layered construction of aluminium diecast, BMC, and heavyweight-class rubber on the SL-1200MK5. This four-layered construction combines high rigidity with a high quality finish and feel. The tonearm employs lightweight magnesium which has a high damping effect, with cold drawing improving the characteristics of the material and achieving the high-precision required. In addition, high initial-motion sensitivity is attained by employing the traditional Technics gimbal suspension construction with horizontal rotation axis and the vertical rotation axis intersecting at a single central point, as well as high-precision bearings using a cut-processed housing.